Now You See Me 2 is a solid sequel that’s as glitzy and stylish as the first—even though it may be a little harder to figure out. This heist thriller brings back Jesse Eisenberg, Woody Harrelson, and David Franco (James’ brother) as three of the Four Horsemen—magicians who pulled off grand illusions as diversions so they could steal from the conniving rich and give their money away to common people. That Robin Hood theme isn’t a part of the second film, which opens with Jack Wilder (Franco) thought dead and Atlas (Eisenberg) and McKinney (Harrelson) waiting for instructions from The Eye. In short order they are given a fourth illusionist named Lula May (Lizzy Caplan) and their contact/handler, FBI agent Dylan Rhodes (Mark Ruffalo) tells them they are to expose a software magnate who is stealing user data. It really helps to have seen the original, as what emerges is a revenge motif that’s dependent on your knowledge of the past. Even so, it’s possible to enjoy Now You See Me 2 as a stand-alone film because it’s essentially a come-uppance plot that involves grand illusions that are mostly unexplained. So what’s a little extra confusion? The FBI, led by new chief Natalie Austin (Sanaa Lathan) is out to get the Four Horsemen, not knowing that Agent Rhodes is playing both sides. They’re not the only ones with an axe to grind. Rhodes’ nemesis (Morgan Freeman as Thaddeus Bentley) wants to bring them down because he was framed by them in the first film because Rhodes thought him responsible for the death of his father, a Houdini-like magician. Their original handler (Michael Caine) is also disgruntled with them and wants to bring them down, with the assistance of his son (Daniel Radcliffe). Everything starts to hit the fan when the Horsemen expose that software magnate but are themselves exposed at that same event, which forces them to go on the run. They escape through a previously placed chute but instead of going according to plan they mysteriously find themselves in Macau, where they become involved with all sorts of danger and intrigue and Jay Chou, a popular Taiwanese musician/actor who plays a magic shop employee. 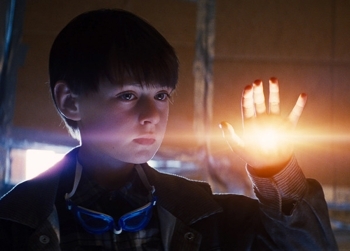 The plot of Now You See Me 2 is a little more convoluted than the original, meaning it’s going to be for ages 13 and up—not so much because of anything that is censorable, but because it’s intellectually demanding. Much depends on the audience’s ability to figure out some things on the fly, as well as their willingness to just have fun and appreciate the rest without needing to have every last thing explained. 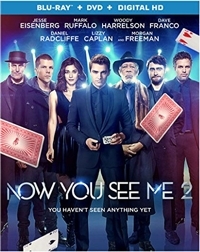 Aside from some confusion, Now You See Me 2 offers everything you’d want from a film like this: great production values, great performances, and illusions that are rendered with equally great special effects. 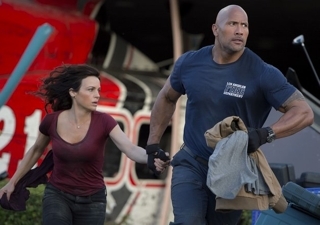 You don’t have to be a seismologist to know that San Andreas is far-fetched—though an expert will certainly confirm your suspicions. 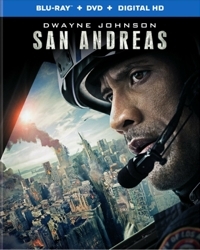 In this 2015 disaster movie starring Dwayne Johnson, an earthquake caused by a fault no one even knew about completely destroys the Hoover Dam, setting off a chain reaction that leads the San Andreas Fault to shift dramatically. When that happens, all of Los Angeles spectacularly crashes and burns—no spoiler here, you’ve seen the previews—and all the massive skyscrapers and buildings for many miles topple like dominoes. Then a second quake and a tsunami knock down everything and everyone who thought they’d survived—again, in spectacular fashion. We’re not just talking about L.A., either. The destruction begins in the City of Angels with a 9.1 quake on the Richter scale and spreads across California, with a second major quake to the north registering a 9.6. The actual San Andreas Fault is nearly 800 miles long and has the potential to cause a disastrous earthquake, but not one above 9.0. That’s because, according to experts, the fault is not long or deep enough. Plus, the level of destruction wouldn’t be nearly as massive. Scientists predict a San Andreas earthquake would cause 1800 deaths and 50,000 injuries, with hundreds of old buildings and a few skyscrapers collapsing—nothing remotely close to the wholesale destruction we see in the film. Then again, subtlety has never been a Hollywood trademark. Thinking back to disaster movies of the ‘70s that started it all—films like Airport, The Poseidon Adventure, and The Towering Inferno—I’m struck that at least this time there isn’t a woman like Shelley Winters shrieking in panic the entire time. Besides, these are popcorn movies that rely more on story than factuality, and on special effects more than story. 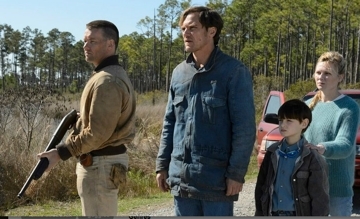 Family Home Theater has the tagline “stuff your kids can see,” and to that end I review films that are rated PG-13 or under. 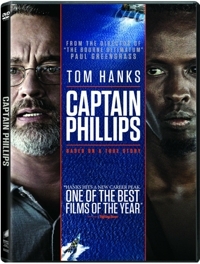 Not all PG-13 films are candidates for family viewing, and Captain Phillips is borderline. 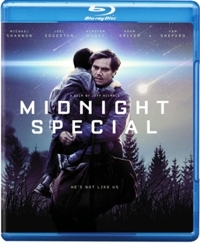 I’d say that children have to be at LEAST 13 to watch this taut thriller about a small band of Somali pirates who, in 2009, became the first to hijack a U.S. ship in 200 years. 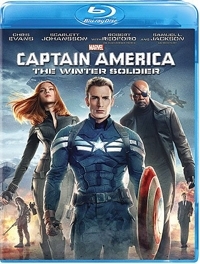 The nature of the film will make it more appealing to teenage boys than to teenage girls. For all but 10 minutes, Captain Phillips plays like a thriller in the tradition of such siege pictures as Air Force One and Panic Room. 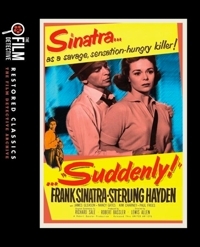 For all but 10 minutes, menace, not violence, creates a tension that holds you in its grip until the final outcome. But there are, in fact, a few brief bloody moments, and the fact that the film is based on a true story makes those moments seem more intense. So does an ending that changes the whole feel of the film and appears largely designed to give Tom Hanks an Oscar moment by pushing his emotional range.